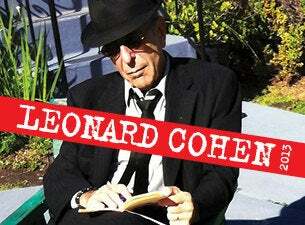 Frontier Touring wish to advise changes to the Leonard Cohen performances at Sydney Entertainment Centre on Sunday 17 November and Melbourne Rod Laver Arena on Monday 9 December. SECOND SHOWS ADDED FOR SYDNEY AND MELBOURNE! The announcement that legendary Leonard Cohen would be returning to Australia and New Zealand for his third concert tour in five years left fans eagerly counting down the days until summer. Following an overwhelming demand for tickets to these enigmatic performances, it is with great delight that The Frontier Touring Company can confirm second performances for Leonard Cohen in Sydney and Melbourne. After his first Sydney performance the day before, Leonard Cohen will take the stage at the Sydney Entertainment Centre on Sunday 17 November. Melbourne audiences will also be treated to a second opportunity to see the music icon at Rod Laver Arena on Monday 9 December. These performances join Cohen’s most extensive tour of our countries to date, travelling throughout Australia and New Zealand’s major cities as well as performances in regional towns Cairns, Townsville and Wollongong. Don’t miss the magnetic and inimitable Leonard Cohen as he returns to Australia and New Zealand with his emotive, poignant and legendary concerts.